When Bob McGrath was a 38-year-old in the construction industry, his clients were in their 50s. Now that McGrath has reached that age his clients are in their 30s, the result of a wave of younger people moving into Colorado Spring’s upscale Broadmoor neighborhoods – the area where Bob McGrath Construction has most of its work. Although the methods may change, Bob McGrath Construction has prided itself on its close communication with customers since the company was founded in 2002. Prior to then, McGrath was a 20-year veteran of the construction industry working as a superintendent for Mortenson Construction. In 1999, Mortenson sent McGrath to the luxurious Broadmoor resort for a $200 million renovation project. It took three years to remodel the resort, which opened in 1918, and during that time McGrath built a close relationship with the resort’s owner and staff. When work was completed in spring 2002 McGrath left to found his own company, knowing he could count on the hotel as a future customer. The Broadmoor and the surrounding neighborhoods became an instant catalyst for the new company. Fourteen years later, the company is still entrenched in the community. 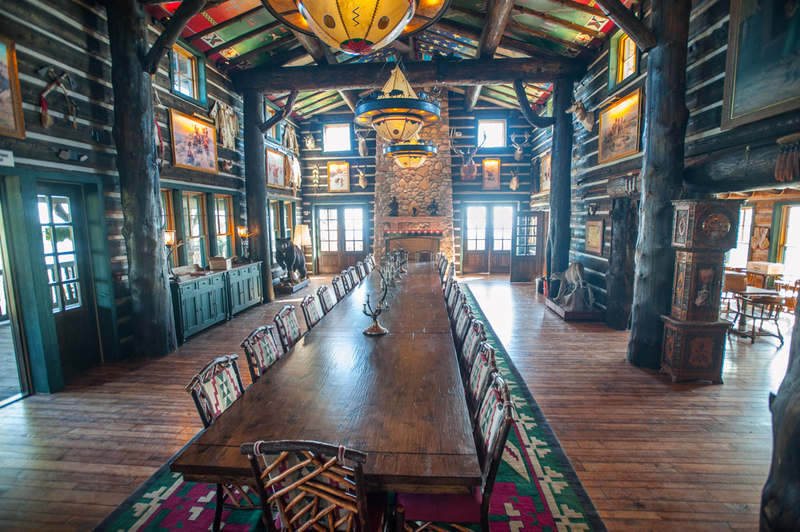 Bob McGrath Construction completes dozen of projects each year for the resort and 90 percent of its residential construction projects are in the Broadmoor area. McGrath says the company has built a local reputation and is now the most sought-after residential construction firm in the neighborhood. To complete its projects, Bob McGrath Construction utilizes a combination of in-house laborers and subcontractors. A team of 30 Bob McGrath Construction employees handle demolition, carpentry, wood and metal stud framing and high-end trims. The company also has its own shop where it builds the cabinetry and beams for ceilings and columns, enabling it to better control the quality of work. For areas such as electrical, mechanical and plumbing the company subcontracts out the work. On some projects, Bob McGrath acts as both the designer and contractor. The company has built eight homes in the past 14 years but the majority of its work is residential remodels. Broadmoor is a higher income area and one of Colorado Springs’ oldest neighborhoods. Many houses date back more than a century and are in need of structural and usability improvements. “We go into these old homes that might be built in 1920 or 1930 and do major renovations,” McGrath says. Because many of those historic homes were built over a period of decades, the company must be well versed in a variety of building styles. Bob McGrath Construction might work an English Tudor home built in 1890 one day and a Craftsman Bungalow built in the 1920s or a 20-year old Colorado resort home the next. To seamlessly replicate those original styles, McGrath researches how each home would have been built originally and tries to adapt modern construction techniques to fit the look. That process is especially important with historic homes because owners often want to keep the historical authenticity of the house intact. The first years of the company came during the housing boom. People were buying homes and spending lavishly to renovate and upgrade existing structures. During this time, the typical project for Bob McGrath Construction ranged in pricing up to a million dollars. Then came the Great Recession and the collapse of the housing market in the late 2000s. The company reduced its staff during those lean years but continued to find work in the market. When the construction rebound finally happened it came with a change in people’s spending habits. Customers today are more careful with their money. The average project cost is now a much less than prior to the recession. “People have kind of tempered themselves a little bit,” McGrath says. But that reduced price range has not changed customers’ expectations. “Even though they might spend less they still want their homes to look like a five star project, which is our goal as well. McGrath takes a hand-on approach with clients at the start of every job, often meeting with people at their dining room tables to fully understand what they want. He then collaborates with the architect and designer to provide design input and helps the homeowner determine product selection and pricing. “It takes a lot of work from both myself and the owner to make these jobs successful and keep homeowners happy,” McGrath says. On each project, Bob McGrath Construction takes the approach that it wants to create a customer for life. The company has stayed in contact with nearly 80 percent of its customers, providing fixes and ongoing warranty service whenever the need arises. Many clients have McGrath’s cell phone number and he encourages them to call and discuss any issues they might have. Bob McGrath’s reputation for strong communication and customer service is one of the reason’s for the company’s growth in recent years. During the recession, the company trimmed down to McGrath, a right hand man and an office staff. As the economy recovered and building activity returned, Bob McGrath Construction expanded its field staff to include four superintendents, two project managers, and two full time estimators. Even as it expands its staff, McGrath says the company will continue to focus on the Broadmoor Hotel and the Broadmoor neighborhood.